Almost everyone recalls their first bite of a delectable Dunkaroo, dipped in confetti-colored creme. Maybe you even washed it down with a caffeine-loaded, citrusy Surge, or followed it up with a giant bowl of Mud N' Bugs cereal. Remember when Trix was still fruit-shaped, or when Altoids had tangy fruit flavors? Do you recall your first taste of Planter's Cheese Balls? Or the decidedly superior French Toast Crunch? Or the perfectly gooey, melt-in-your-mouth Rice Crispies Treats Cereal? These tasty discontinued foods will give you serious nostalgia, and make you wish you had a time machine so you could go back and stockpile your favorites, or just get one more taste of one of these treats. The drinks and snacks of the 2000s were loaded with some of the most unforgettable flavors and textures of all time. Although these snacks are sadly no longer with us, they will live on forever in our memories. Vote up the tastiest discontinued foods and beverages below, and be sure to let us know what you think in the comment section! One of the most beloved discontinued food items, these delectable dunkables were launched in 1988 and tragically discontinued in 2012. Planter's Cheez Balls were sadly discontinued in 2006. Several online petitions plead for their return, and passionate letters demanding their resurrection are still being written. Our demand will never waiver! 2007 was the last year you could enjoy these unique fruit shapes - Trix are now all-round puffs. 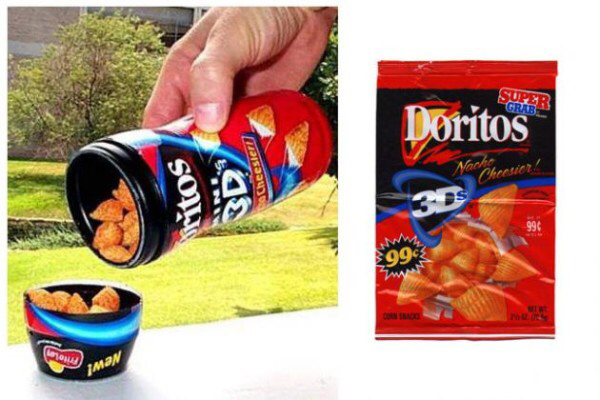 Launched in 2000 and discontinued a few years later, the memory of these crunch-a-licious "Doritos-meets-Bugles" 3D snacks will forever live on in our memories.